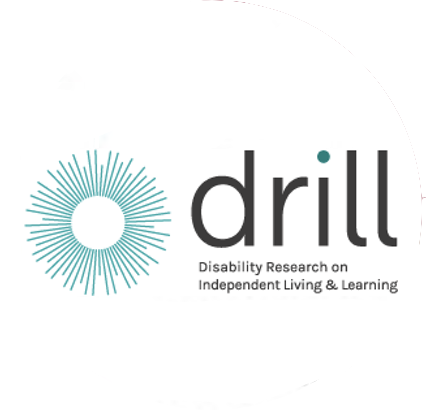 ‘Disability Research on Independent Living and Learning’ (DRILL) is committed to providing accessible information. We have designed our site to make the information accessible to the widest possible audience. If you have any problems with the website or accessing information use our contact form. We aim to meet WCAG version 1.0 (Web Content Accessibility Guidelines) Conformance Level “AA”, which means that all Priority 2 checkpoints will be met. This site uses cascading style sheets (CSS) for visual layout. If your browser or browsing device does not support style sheets the content of each page is still readable. We have installed the WP Accessibility plugin which is designed to help with a variety of common accessibility problems. Add a toolbar toggling between high contrast, large print, and desaturated (greyscale) views of your theme. Show the colour contrast between two provided hexadecimal colour values. There are some aspects of the site that do not pass automated accessibility tests. For example, there appear to be images that do not have labels. This is due to the use of plugins to add functionality to the site such as the Google Translation tool. However, though if means that the site does not pass automated tests, the content is still accessible to visitors. If you have any problems with our website, or want to tell us how we can improve it, please contact form.